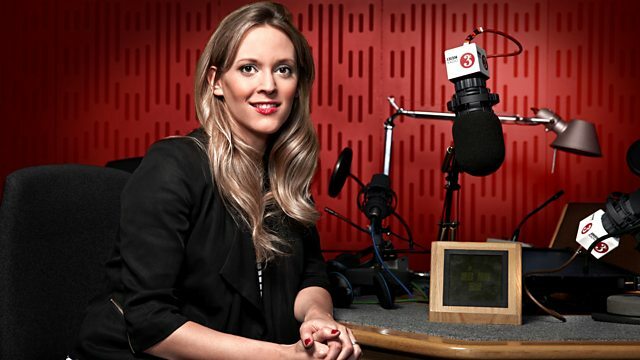 Clemency Burton-Hill Radio 3's classical breakfast show, featuring listener requests. Performer: Grimethorpe Colliery Band. Conductor: Elgar Howarth. The History of Brass Band Music: The Golden Era. The American Album: Itzhak Perlman/Boston Symphony Orchestra/Ozawa. Singer: Kiri Te Kanawa. Ensemble: Lynn Harrell & Instrumental Ensemble. Orchestra: English Chamber Orchestra. Conductor: Jeffrey Tate. Canteloube: Chants d'Auvergne: Kiri Te Kanawa. Performer: Peter Donohoe. Orchestra: Ulster Orchestra. Conductor: Takuo Yuasa. Performer: Alison Balsom. Orchestra: The English Concert. Conductor: Trevor Pinnock. Choir: The Sixteen. Orchestra: Academy of St Martin in the Fields. Conductor: Harry Christophers. Mozart: Vespers and Faure: Requiem. Performer: Ian Bostridge. Performer: Julius Drake. Sibelius: Finlandia/En Saga etc: Esa-Pekka Salonen. Bridge: Piano Sonata etc: Kathryn Stott. Choir: BBC Singers. Choir: Choristers of Temple Church Choir. Ensemble: Endymion Ensemble. Conductor: David Hill. Judith Wier: Storm, All the Ends of the Earth, Missa del Cid and other works. Performer: Frank Peter Zimmermann. Performer: Alexander Lonquich. Orchestra: Queensland Symphony Orchestra. Conductor: John Georgiadis. Walton: Battle of Britain Suite etc. : ASMF/Marriner. Performer: Philip Scriven. Choir: Winchester Cathedral Choir. Director: David Hill.